Software for Scales designed to control the weighing process for trucks and railroad wagons. It is a tool that makes the operation of the Scales something easy, agile and secure. 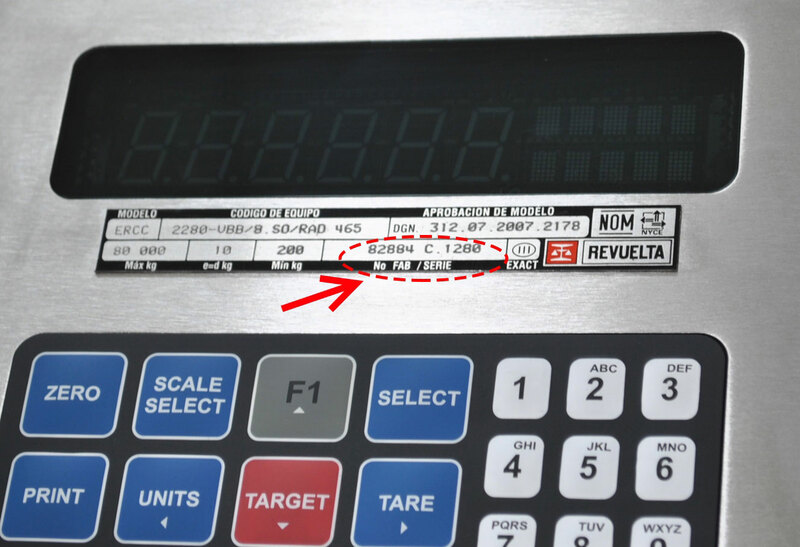 The Software REVUELTA SIP® is a powerful tool that smartly collects, compares, manages, and uses the generated data from almost any REVUELTA’s Scale connected to a PC through the Digital Indicator’s serial port. Based on a high-end relational data Access declarative language, along with a Structured Query Language (SQL), the Software can perform diverse arithmetic operations, unit conversions, reports of all the operations and transactions made with the Scale, and data transfers with administrative and control purposes, ensuring a high security on the way data is managed. The administration of tables, catalogs, and operations assigned to the different users of the Software is defined by the Administrator User of the Software REVUELTA SIP®, whom is responsible of granting permissions according to the needs of each operation and user. The REVUELTA SIP® is an integral solution for the users: improves and potentiates the features of previous versions of the software and offers bigger technologic advantages that convert it in a powerful tool with superior connectivity possibilities. REVUELTA SIP® is designed as flexible as possible, allowing the user to customize the data input, reports and notifications in order to adapt the operations to the particular working process of every company. Using communication protocols and data exchange standards, the Software lets developers from different platforms have access to predefined SQL database records through web services. Customizable Web Services for a compatible connectivity with Enterprise Resource Planning software. The Software can also operate and control peripheral devices connected to the Scale to complement the weighing process, making it more agile and secure. - The USER must be the ADMINISTRATOR of the PC of should have special permissions to install the Software. - In case of being inside a Domain Network, the USER should have special privileges or permissions granted by the Network Administrator * in order to create and define an ODBC (Open Database Connectivity) and additionally create and execute a batch file for the automatic start of the Database Connection service. * For more information about these permissions please contact the IT Department, Network Administrator or Technical Support in your company. I wish to receive a free quote for the Software REVUELTA ® SIP. I wish to try the Software Demo / Simulator. We will send you an answer e-mail with the simulator page link to the e-mail address you provided above. To ensure that you receive our emails, we kindly ask you to follow the instructions in our document to Add Safe Senders to Hotmail. ¡Su correo ha sido enviado con éxito!. La información que nos fue proporcionada a través de este formulario será revisada por nuestro personal del departamento de ventas, el cual se pondrá en contacto con usted en respuesta a su solicitud. Si desea enviar una nueva solicitud, haga clic aquí. All rights reserved © Basculas Revuelta Maza, S.A. de C.V. Rd. Ávila Camacho and St. 16 Colony Santa María Torreón, Coah. México C.P. 27020. .
REVUELTA®,REVUELTA SIP®, andREVUELTA SIP® logo are trademarks property of Basculas Revuelta Maza, S.A. de C.V. in Mexico and/or other countries. By purchasing this software, you are receiving a non-exclusive, non-transferable and revocable license for your personal and private use, so it is expressly prohibited to copy, reproduce, publish, distribute, public transmit, post, modify or adapt, in whole or in part, of this work.